We recently launched our newly enhanced iGrill products here at Weber and couldn’t be more excited! Our iGrill lineup now includes the iGrill Mini, iGrill 2, iGrill 3, as well as our newly enhanced Pro Meat and Pro Ambient Probes. The newest addition to the Weber iGrill family is the iGrill 3! The iGrill 3 has been designed for use with our Genesis II and Genesis II LX grills. 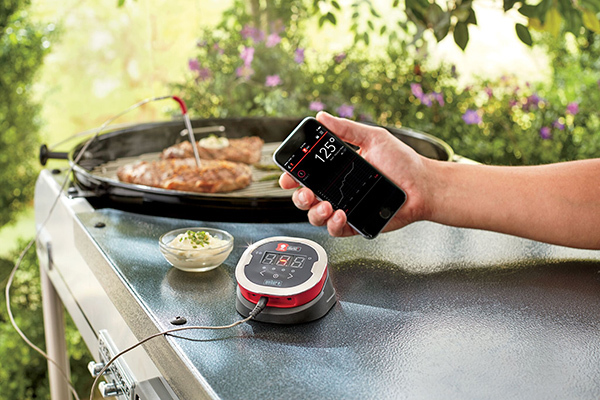 Unlike the iGrill Mini and iGrill 2, the iGrill 3 is not a standalone thermometer. Instead, the unit embeds directly into your Genesis II grill. With four ports, grilling the perfect meal will be a breeze. 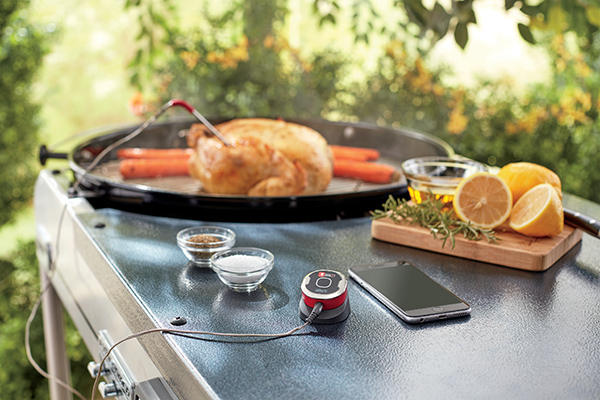 You are able to monitor fuel levels within the Weber iGrill App as well as enjoy the rest of the benefits of the app. 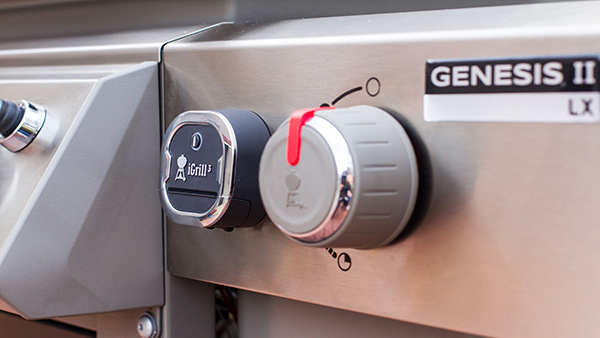 If you own a Genesis II LX grill, you can also control the knob lights directly from the Weber iGrill App! In the box you’ll find the iGrill 3, two of our newly enhanced Pro Meat Probes, a battery pack, a tank scale and sensor kit, and three AA batteries. Purchase the iGrill 3. The Weber iGrill 2 has the ability to monitor up to four temperatures simultaneously. Featuring four probe ports, two of our newly enhanced high temperature probes, an illuminated display, magnetic mounting, and up to 200 hours of battery life, the iGrill 2 offers precise standards for even the most serious griller or smoker. The box includes the iGrill 2, two meat probes, two probe wraps, two colored probe indicators, two AA batteries, and an optional magnetic disc. Purchase the iGrill 2. 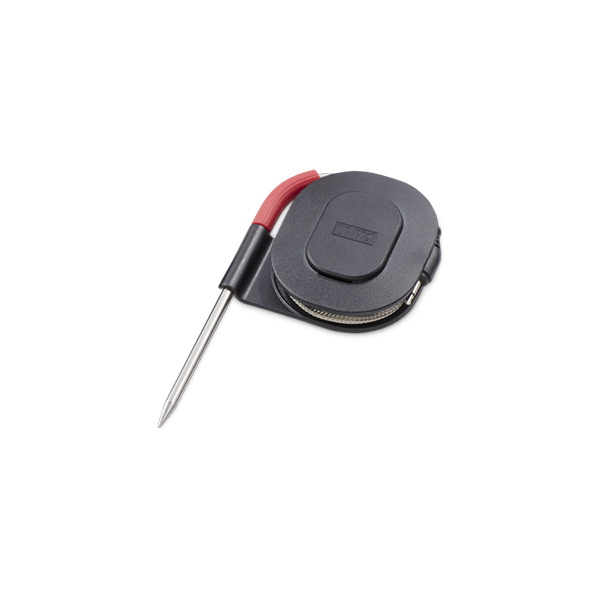 A pocket-sized, single probe thermometer, the Weber iGrill Mini takes the guessing game out of grilling! The iGrill Mini offers an extended battery life of 150 hours. In the box you will find an iGrill Mini, one of our newly enhanced Pro Meat Probes, one probe wrap, one colored probe indicator, one CR2032 battery, and an optional magnetic disc. Purchase the iGrill Mini. Our newly enhanced Pro Meat and Pro Ambient Probes are now available! The probes have been made more robust, have a stronger pull force, and can now withstand up to 720°F. Please note that the Weber iGrill App will only display temperatures up to 572°F. In addition, our probes are now double crimped with increased water resistance. Purchase theiGrill Pro Meat Probesand Pro Ambient Probes. Whether you are a serious griller or smoker or just want a boost of confidence, the Weber iGrill products are the right fit for you!